Google AdSense UPS Club - $10,000 Per Month? Home > Google News > Google AdSense > What Is The Google AdSense UPS Club? 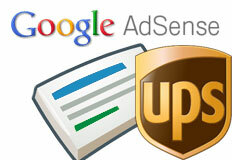 What Is The Google AdSense UPS Club? You see the term "AdSense UPS club" mentioned throughout various Google AdSense help threads - but what does it mean? For publishers who earn a lot of money with Adsense, Google will overnight a check to them normally through UPS. Although in the earlier days, Google overnighted those checks using FedEx. There are rumors you need to earn over $25,000 per month to make the club. But I believe it is closer to $10,000 per month to make the Google AdSense UPS Club. $10,000 checks are valuable enough that Google feels they should overnight them via signature delivery via UPS service. I'm definitely dating myself, but years ago when I first started working with Google Adsense I promised myself that once we joined the "Google Adsense UPS Club" that I would post to WebmasterWorld.